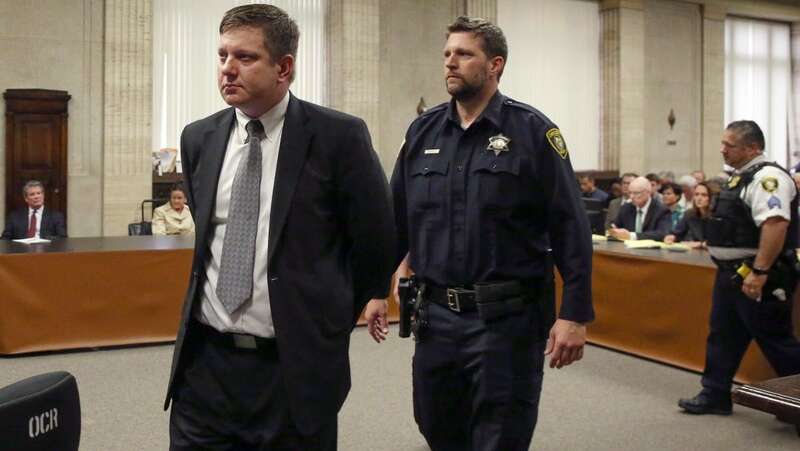 A Cook Country judge Vincent Gaughan has just sentenced former Chicago police officer Jason Van Dyke to 81 months, two years of mandatory supervised leave for the shooting death of Laquan McDonald. Last October, Van Dyke was found guilty for shooting the 17-year-old 16 times in 2014. He was convicted of second-degree murder and 16 counts of aggravated battery. Yesterday ABC7 Chicago spoke with the only African-American on the jury for her opinion on VanDyke’s potential sentencing: “If it was me, I would give life. … I don’t want to see him get a slap on the wrist just because they feel he’s a police officer and people are feeling sorry for him,” said Charlene Cooke. But yesterday Cook County Judge Domenica Stephenson found them not guilty and all three officers were acquitted.